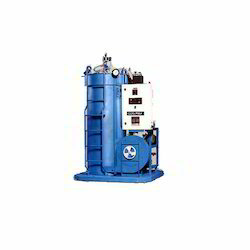 Prominent & Leading Manufacturer from Ahmedabad, we offer biogas fired boilers. Fuels - LDO, IDO, HSD, FO, LSHS, Natural gas, LPG, Biogas. Our offered Biogas Fired Boilers is a durable structure finish that comes with a choice of horizontal, three-pass, wet back structure finish. Moreover, this is perfectly suitable for use with fuel options of natural gas, light oil and heavy oil and comes with automatic control system with PLC control panel. The threaded tubes ensure high heat transfer rates and are created to reduce carbon, reduce emissions and reduction of both operating and fuel costs.